I finished up this 16 patch baby quilt over the weekend. 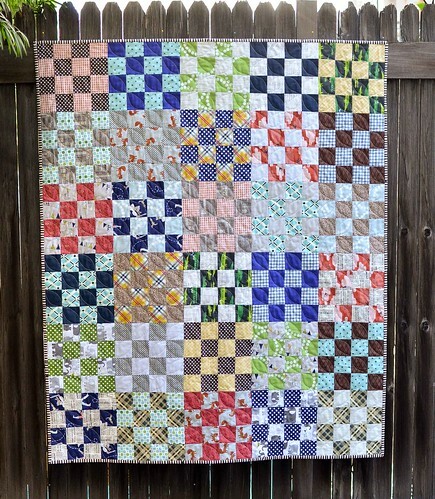 I have been wanting to make one ever since I saw this quilt, and I loved the little 2 inch squares in my scrappy trip quilt that this one got moved to the top of the list. The blocks came together quickly (I used this tutorial as a guide) and they were fun to make. I have been wanting to try orange peel quilting and this seemed like a good time to try it since it is a grid of 2" (finished) squares. I think this is my new favorite way to quilt. It was a little bit rough at first (even after practicing quite a bit) but by the end things were going pretty well. The quilting is far from perfect, but it is definitely something I will do again. The quilt is currently in the washer and I think that the quilting is going to give it great texture once it has been through the dryer. The quilt is backed with this Riley Blake grey-on-grey chevron, the quilting showed up much better on the less-busy back. I will be sending this quilt off this week to a very sick little baby boy in Boston. 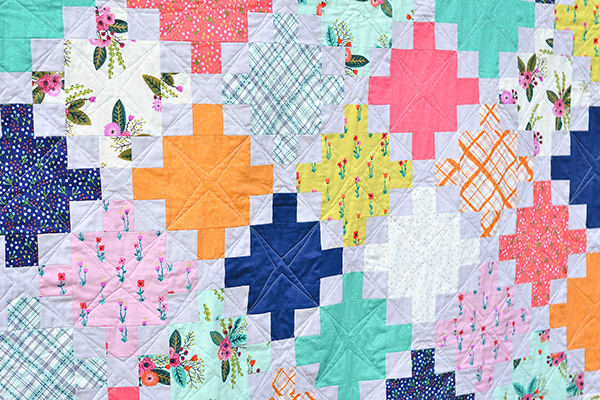 Gorgeous quilt, and I love your orange peel quilting. 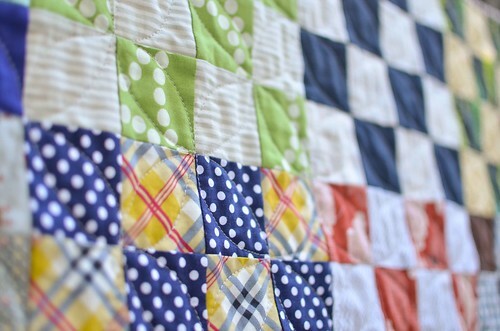 I think I will need to make another quilt with 2" squares just for a reason to try this quilting! I'm sure it will be much appreciated by your friend and her baby. Lovely! That orange peel quilting looks really neat. Should try it one time. I'm probably rusty on my FMQ after not doing any for a while now! Oh I love the quilting!!! this is gorgeous! 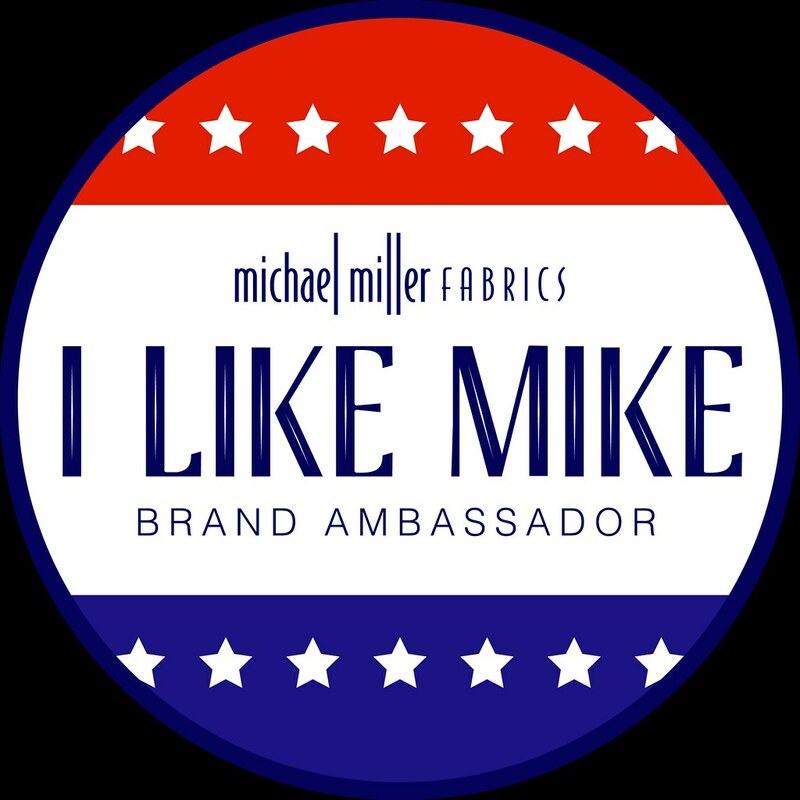 I especially love the back! 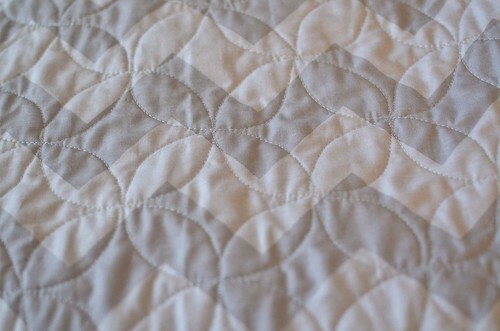 The quilting looks fabulous to me. It's such a pretty quilt, Erica. I'm sure the little boy will love snuggling with it. It looks great and I love the quilting. 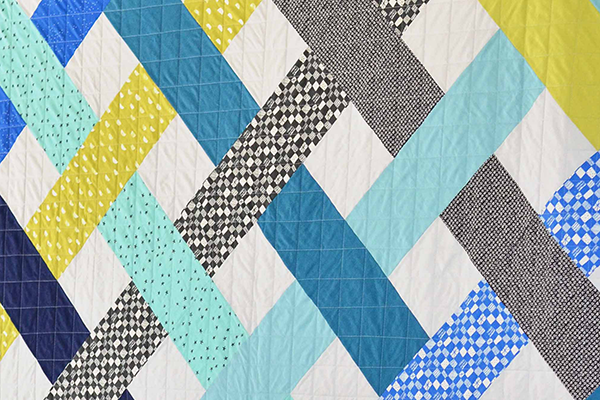 I am trying to be more adventurous with my machine quilting so I think when I have the right quilt I will try this method. I hope the little baby boy is feeling better soon. Oh, your quilting looks great! It's one of my favorite ways to quilt now for sure. So pretty!!! Lovely quilting! 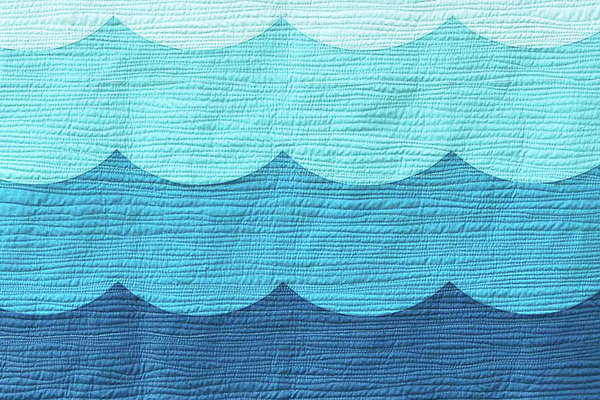 I'm trying this on my current quilt!